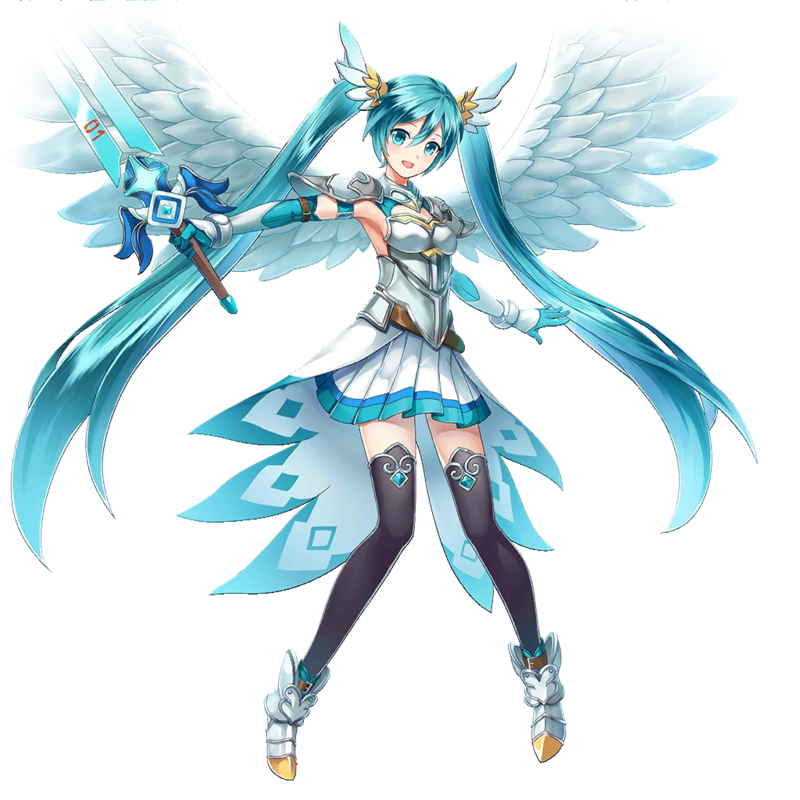 Hatsune Miku as a valkyrie. 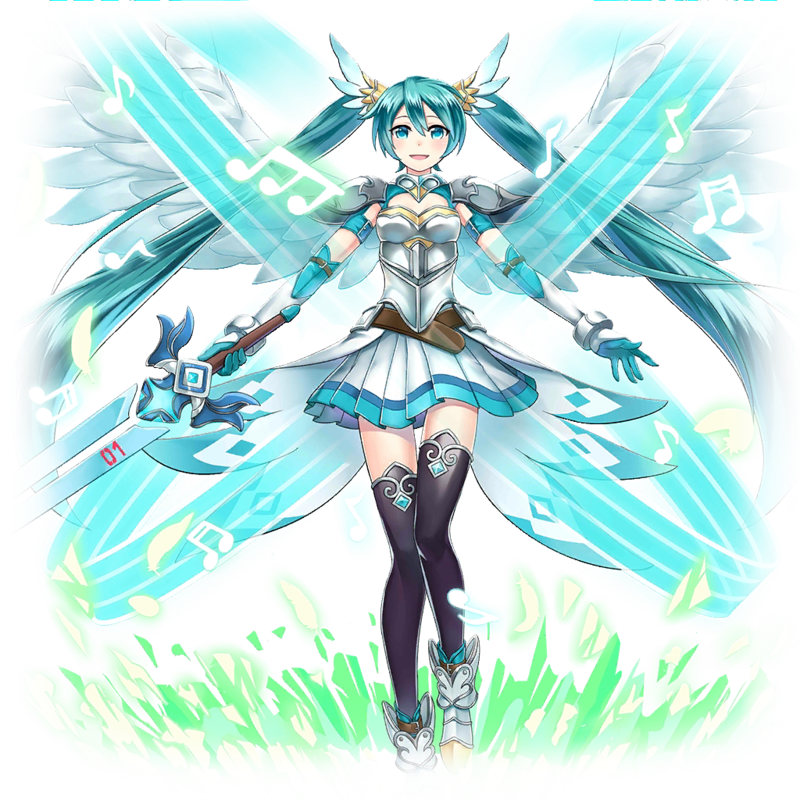 Flies across the worlds to spread her beautiful songs. 140% Earth MATK damage to 3 farthest enemies. Restore 25% of max HP to self for 3 turns.